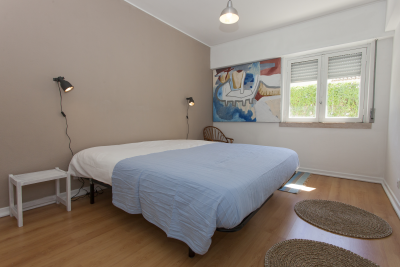 Welcome to the Lisbon Waves Surf Lodge! Add a Surf lesson a day for the perfect Holiday at the Lodge! Room 2 has 12 square metters and a private bathroom, located outside of the room, 1 meter away. There's plenty of room available for an extra bed full size. Our recomendation for couples and families. Room 3 is our budget room. Slighlty small than our other rooms, but offering the same confort! 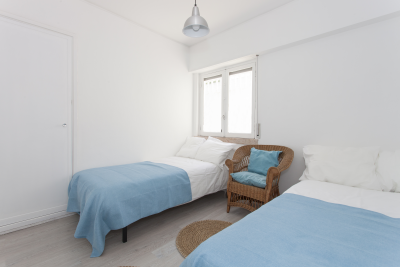 ***The Lisbon Waves Surf Lodge was designed to make your Surf Trip stress-free. 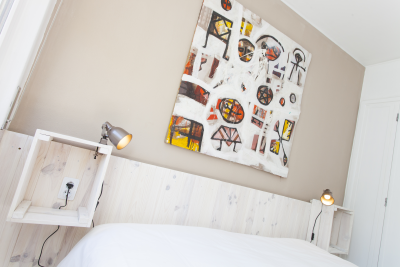 With very comfortable rooms and shared areas, you can rest and re-boost in between surf sessions. The space fits normal B&B standards so you can travel with your families or non-surfing buddies and they'll feel good too. The Lodge has 3 private rooms, 2 bathrooms (1 private and 1 shared), Shared kitchen and living room and an outside area where you can chill and sunbathe. Our staff will be present every morning, preparing you breakfast and doing the daily cleaning (except sundays) and will check back every afternoon. For the rest of the day, our team is permanently available for you, just call or email us, where are always close by. Our Lodge is just a few meters from the Ocean, in a quiet residential area. Next to the Lodge there's a nice park where you can do some jogging in the morning, or kids can play. Within 5 minutes walking you can acess over 10 different surf spots, the city center, several restaurants and all other commodities you might need, such as supermarkets, pharmacy, souvenir shops, etc. You can walk to the beach or take our complementary transfer to Praia da Mata, the base for our surf school. If you want to go to Lisbon, Sintra or other spots, it's quite easy, with a bus stop located 3 minutes from the lodge, plus the boat and train stations located 5 minutes driving away - if available, we'll be happy to take you there, no extra charge.